Hyenas are made famous for their cowardly reputations in movies like the Lion King, but they are actually highly intelligent and social animals. They occur throughout the Okavango Delta. The Spotted Hyena (Crocuta crocuta) is the most widespread predator in Africa and is found in just about every country south of the Sahara Desert. They occur in diverse habitats from the dry Kalahari regions to the wetlands of the Okavango Delta. Their maniacal laughs, unearthly shrieks and haunting whoops add to the mystery of the night on a Botswana safari. 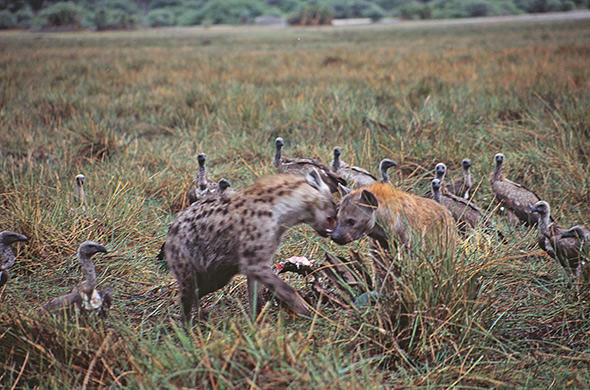 Hyenas often have a bad reputation and were viewed with revulsion. This may have something to do with African folklore. They are a widespread symbol in African myth and can represent anything from understanding to being a symbol of immorality. In reality they are extremely intelligent animals that often kill prey for themselves.The conflict between Lions and Hyenas has been well documented and Lions will often kill Hyenas as was revealed in the documentary "Eternal Enemies" which was filmed. It always seems that Hyenas may be trying to steal the remains of the Lions kill, but in reality the Lion may well have stolen the Hyena's kill and the Hyena is just trying to eat what is rightfully its kill. 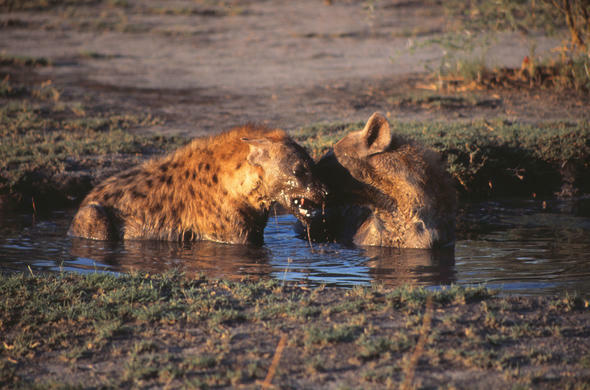 The Hyenas digestive system is legendary, and they have extremely strong jaws that easily allow them to crush bones. They eat vegetation as well as bones and have been known to eat camper's supplies, as well as the tin!Hyenas are very social animals, that are led by a dominant female and all males and the other females are subservient to the female members of the clan and there is a complex social hierarchy. 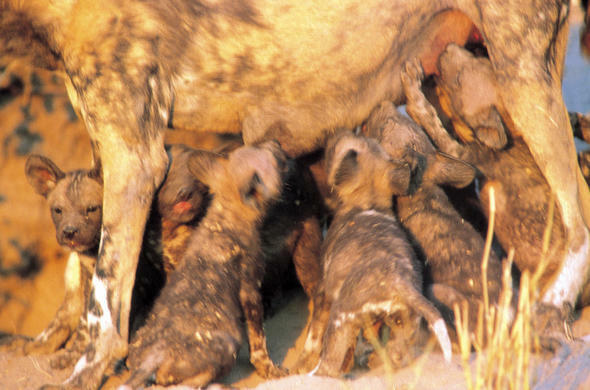 The best areas in the Delta to see Hyena are the Savuti and Linyanti regions where there are thriving populations. 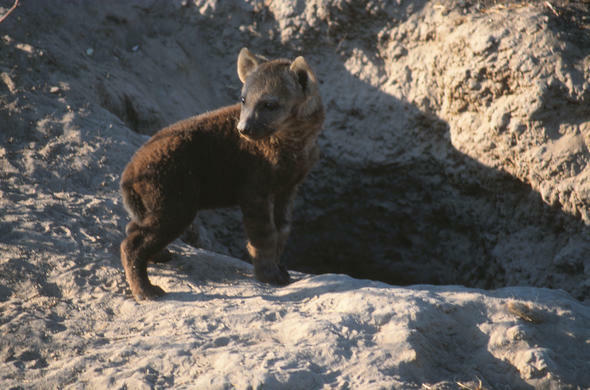 It is not known how many Hyenas call the Delta home, but it is thought that there are several hundred.